Human Rights Activists News Agency (HRANA)- Over the course of the past few months, a 60-plus percentage drop in the value of the Iranian rial (toman) has plunged the residents of several cities into financial crisis. Across the country on Monday, October 8th, merchants fed up with recession, inflation, and steadily climbing prices shuttered up their shops and went on strike. 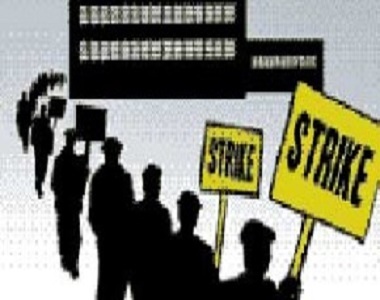 So far, strikes have been reported in the cities of Sanandaj, Tehran, Kermanshah, Andisheh, Iranshahr, Mashhad, Isfahan, Tabriz, Borazjan, Gorgan, Zanjan, Baneh, Marivan, Saghez, Arak, Chabahar, Hirmand, Konarak, Gorgab, Urmia, Zahedan, Kazerun, Genaveh, Parsabad Moghan, Sardasht, Piranshahr, Rafsanjan, Miandoab, Rasht, Paveh and Abhar. The presence of security forces has palpably strained the atmosphere in many of the above cities, including Sanandaj, western Kurdistan province, which recently doubled down on its controls. The Kurdistan Chamber of Guilds has reportedly sent threatening text messages to local merchants in attempts to coerce them to end their strikes. Head of the National Chamber of Guilds Ali Fazel confirmed to the Iran Student News Agency (ISNA) that shop-owners have suspended their operations in response to the recession and poor market conditions. Iranian authorities have proven intolerant of prolonged strikes in the recent past. When merchants of several metropolitan bazaars shut down shop for the same reasons last July, the Tehran General and Revolutionary Prosecutor announced that many of the protesters had been imprisoned. More than 200 of the Iranian truckers who have been striking for the past 17 days have also been taken into custody.